The flood that lasted two months on the Amur River, floodings in Sochi and in the Krasnodar region, fires in Siberia – it is already not possible to ignore such unpleasant natural disasters. Experts from Roshydromet (the State Committee for Hydrometeorology) confirm that the number of abnormal natural phenomena is growing every year, and it is time for our country to prepare for severe ordeals. According to Roshydromet experts, such extreme events as flood on the Amur River happen every 200 to 300 years. However, meteorologists believe that the characteristics of this flood exclude data on climate change. The head of Roshydromet Alexander Frolov says: "The number of severe weather events, including floods and tornadoes, increases annually by 6 to 7 % because of climate change. You cannot just wait for 200-300 years, an extreme meteorological event can happen much earlier. There is another scientific argument - these calculations are made under the assumption of stationarity of the series, of the fact that it does not change. And if the series changes under the influence of climate and there is a trend, then these estimates will shift towards being more frequent. So it is necessary to prepare for severe ordeals. You can see by yourself that the climate is changing - it became warmer, we have much more precipitations." Such periods are generally grouped, as dry years do as well. That is, if this has happened, it is not reasonable to assume that this is now again only in 300 years. The next flood could be repeated in the near future. With the annual increase of extreme weather events in the world, accompanied by the damages, it is impermissible to say that it will not happen tomorrow. Scientists estimate that we have now entered a period of high water. The next 20 to 30 years will have to be in the high-water cycle, when floods and similar events will be much more widespread, and climate change shall be taken into account by everyone. Environmentalists are anxious also by the fact that climate change in the form of prolonged flooding in the Far East have exacerbated and identified another problem. The extreme flood has exposed shortcomings of modern hydrotechnical systems and the need for a new approach to large hydropower plants. Sergei Shaphaev, the director of the Buryat Regional Association for Baikal, says: "The current rules for use of water reservoirs of the Zeya and Bureyskaya hydropower stations are more in the interests of hydropower at the expense of safety. Recalculation of their parameters is needed to increase safety. This will inevitably reduce their production and show that their real profitability is much lower than usual estimates." According to experts, it is impossible to predict disastrous floods accurately and in advance (it seems that they occur under certain conditions of atmospheric circulation, which are stochastic by their nature in this period), but one can already now give background predictions for a year ahead. 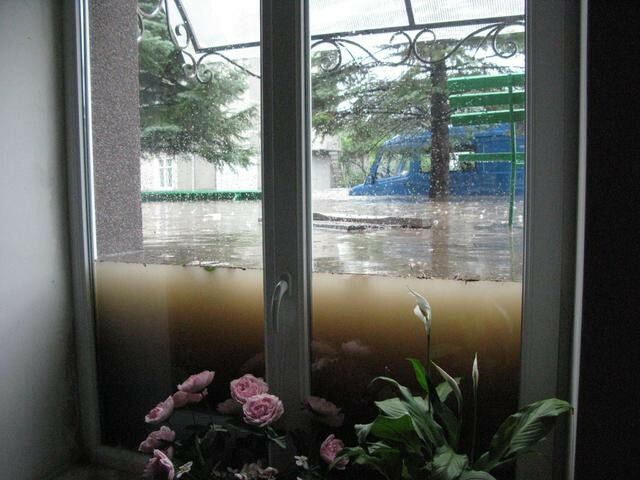 What else can climate change bring for Russia besides more floods? Warming already causes increase in the amount of snow in Siberia. Climate change will cause water shortages in some regions, and its surplus in others. We are waiting for shift of climate zones, insects attacks, devastating natural disasters of different nature, crop failures, and climate refugees. Experts believe that in the twenty first century most of the territory of Russia will be in the area with more significant warming than the global one. This warming will greatly depend on the time of year and the region, but will be especially noticeable in Siberia and sub-Arctic regions. However, it is unlikely that the decision makers have learned the lessons from natural disturbances. How else can one explain the "fresh" plans to build new large hydropower plants in the already affected Far East? Will we be ready for new floods?